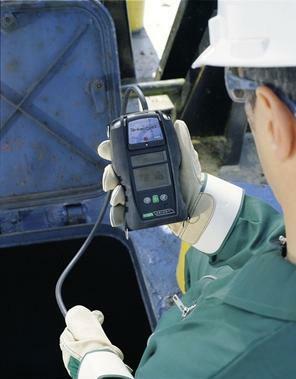 Tankscope II is extremely compact, reliable and easy to use.The most applicationspecific multi-gas detector, it sets new standards for the marine industry. Designed for the measurement of hydrocarbon gas in crude oil cargo tanks that use inert gas systems. Building on the experience from the original Tankscope, the innovative Tankscope II combines proven reliability with high-tech features. Tankscope II can measure up to five gases simultaneously including oxygen. According to the latest norms such as ATEX Directive 94/9/EC and the Directive MED 96/98/CE [Wheelmark] "See- und Berufsgenossenschaft" No. 213.014.